A great add on accessory for the kids that need a little extra help climbing up. Climbing up and down and up again can become tiring. 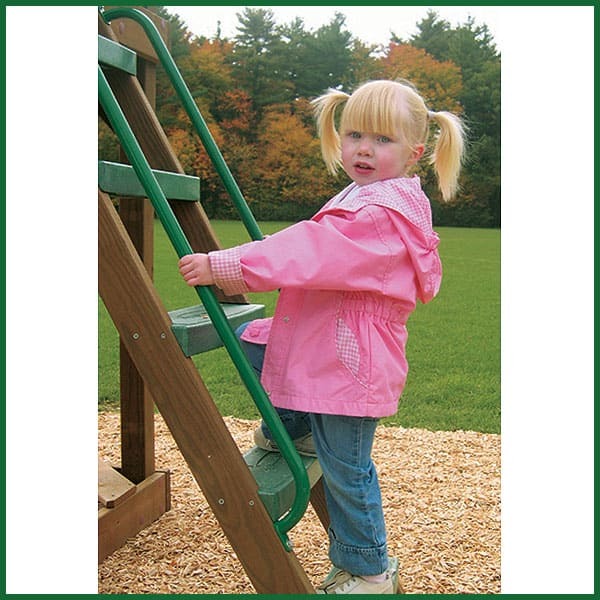 This swing set accessory provides an extra sense of stability and security when climbing the swing set ladder. Made from powder coated galvanized steel, Creative Playthings ensures a strong grip that will stay in tip-top shape for years to come.